BENTONVILLE, Ark. 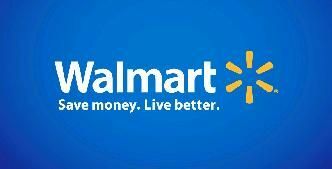 - Walmart is reporting surging online sales, strong performances at established stores, and it's raising profit expectations for the year heading into the holiday shopping season. The company on Thursday posted third-quarter earnings of $1.71 billion, or 58 cents per share. Earnings, adjusted for non-recurring costs, came to $1.08 per share, which is 6 cents better than expected, according to a survey by Zacks Investment Research. The world's largest retailer posted revenue of $124.89 billion, about in line with forecasts. Walmart Inc. says it now expects full-year earnings in the range of $4.75 to $4.85 per share.